Jussi Adler-Olsen, author of "The Absent One," is Denmark's premier crime writer. His books routinely top the bestseller lists in northern Europe, and he's won just about every Nordic crime-writing award, including the prestigious Glass Key Award-also won by Henning Mankell, Stieg Larsson, and Jo Nesbo. Now, Dutton is thrilled to introduce him to America. 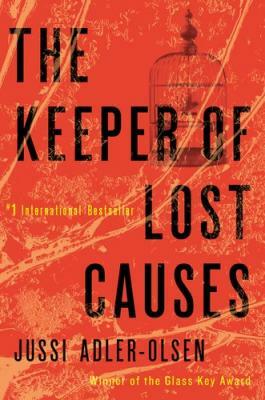 "The Keeper of Lost Causes," the first installment of Adler- Olsen's Department Q series, features the deeply flawed chief detective Carl MOrck, who used to be a good homicide detective-one of Copenhagen's best. Then a bullet almost took his life. Two of his colleagues weren't so lucky, and Carl, who didn't draw his weapon, blames himself. "Far from being just another morose Nordic crime writer, Adler-Olsen creates a detective whose curiosity is as active as his soul is tortured. The villain is a monster and the crime horrendous, but readers will root for the victim and for the belabored Department Q. This absorbing psychological thriller is recommended not only for fans of Henning Mankell, Jo Nesbø, and Stieg Larsson but for true crime aficionados who might like to try fiction." "The new 'it' boy of Nordic Noir."